The internet is full of potential consumers. However, the web is also hyper-competitive. Over time, audiences have become more fickle, demanding more from brands, and ever-sparing with their attention span. In this environment, strategic lead generation can make or break a digital marketing strategy. Lead generation is the process of converting your audience from passive spectators into active consumers. After generating a lead, you are able to engage with your customer base, further their interest, and hook them into your services. 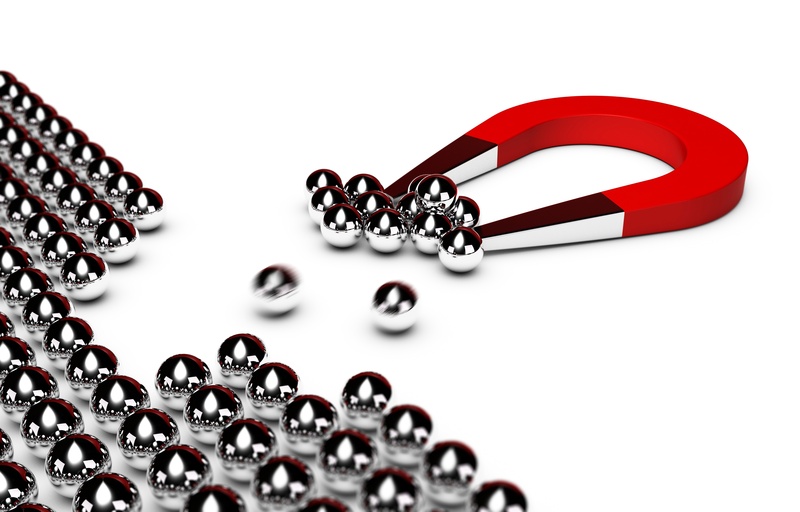 Lead generation is the first and most important goal of your inbound marketing strategy. The landscape of marketing is ever-changing, so while lead generation as a goal has been around for years, the strategies used by businesses to convert visitors into leads vary widely. As millennials and Gen Z’ers continue to constitute the bulk of consumer audiences, content marketing has become the building block of every lead generation strategy. Audiences today expect more from their brands. They want real value, and they want to receive something tangible in exchange for their time. This has lead to what Ryan Lynch from Hubspot calls the “give before you ask” rule—in other words, before you ask your audience to give up their time, money, or information, you need to have already enriched their lives somehow. It’s simple: better content pays. Your goal should not be to “trick” audiences into becoming customers, your goal should be, genuinely, to educate them and provide meaningful value to their lives. One way to do this is to have something useful about a particular topic that ultimately redirects audiences towards your service. A free e-book available to download is a great example. Video has also become the preferred method of lead generation for many companies, since video has higher engagement time and can hold audiences’ attention better than written articles. Lead generation strategies can be built around one instructional video or a series of tutorials in which products can be displayed without feeling like invasive ads, giving you the chance to demonstrate the real-world utility of your product or service. Be tailored to one specific campaign, separate from your regular website. Provide enriching information about your company, product, or service. Fulfill whatever promises you might have made in the initial ad. Provide a call to action. Collect a small amount of useful information from your audiences through the use of a form (demographic information, contact information, or both). HOW CAN I MAKE MY STRATEGY BETTER? Lead generation can seem simple. However, there are numerous ways to optimize and diversify your strategy. It is imperative that you have multiple tiers to your strategy. There’s a lot of lead generation “tricks” that are just that—tricks. Direct outreach via social media might be good for boosting your brand and generating a handful of leads, but it’s not enough to build your entire strategy on these interactions. That’s why your lead generation strategy should have a core—something concrete and genuinely enriching, like an event, an e-book, a webinar, or a reliable blog. From there, you can expand to more situational kinds of lead generation, such as social media. At the end of the day, lead generation is a numbers game. That said, some interactions are inherently more valuable than others. That’s why it can be helpful to prioritize different types of engagement. Is it more important that somebody downloads your .pdf brochure, fills out your form, or watches your instructional video? Introducing an internal hierarchy of goals can help you analyze the success of your lead generation strategy. Streamline your forms. The shorter the form, the better the conversion rate. And normally you don’t need that much information about your potential customer from the jump. When in doubt, just ask for name and email address. You can always get more down the line. Also, as Jordan Teicher of Contently notes, make sure you optimize your button copy, as you can increase conversions significantly by using more specific language. Nurture your leads. Continue to provide value for them. There are many ways to nurture your leads—send them discounts and special offers based on their continued engagement, or provide additional educational content that deepens their understanding of your company and your field. While the speed of the internet has made many marketers hungry for viral popularity and notoriety, the truth is that now more than ever, there are no shortcuts in lead generation. Savvy marketing specialists will figure out their audiences needs and cater to them in a meaningful, enriching way, instead of resorting to cheap and quick solutions for lead generation. This will lead to building a relationship with a long-term, dedicated customer base. By following these tips, you should be well on your way to creating a multi-tiered, efficient, helpful lead generation strategy hinged on content marketing and continued engagement.